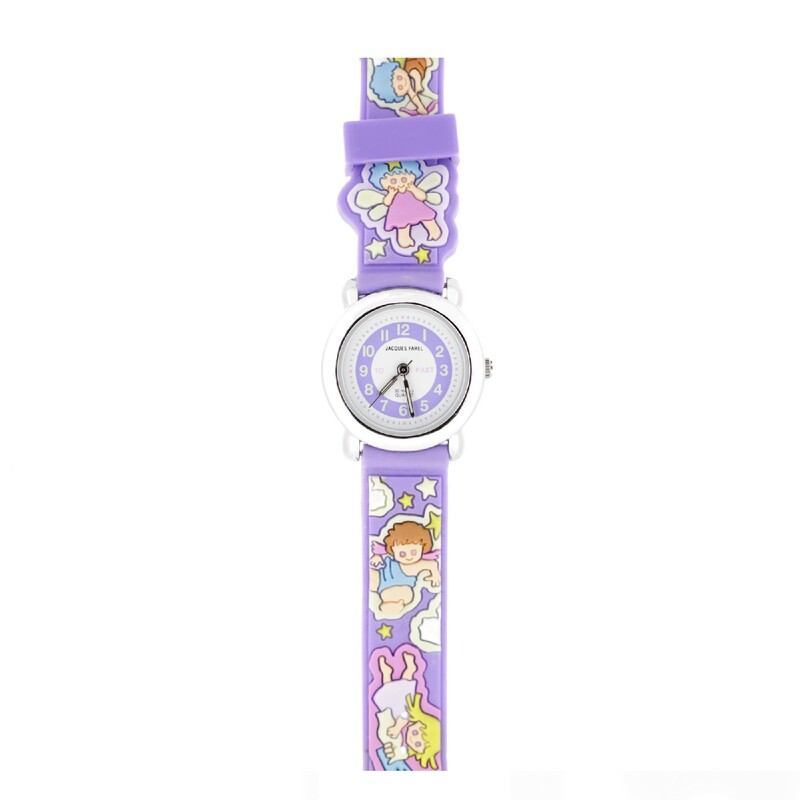 Funny watch child Jacques Farel signature bracelet, relazado in rubber with buckle closure. Quartz, analog system movement. Submersible in water (up to 30m). We deliver in transparent case Jacques Farel.